NAM works to change lives by sharing information about HIV and AIDS. 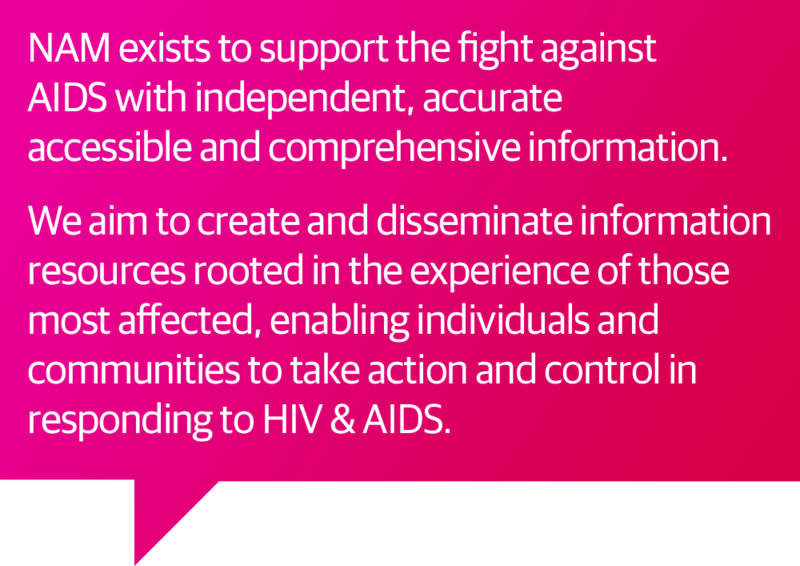 We believe that, wherever you are in the world, having independent, clear and accurate information is vital in the fight against HIV and AIDS. It enables individuals and communities affected by HIV to protect themselves, care for others, advocate for better services and challenge stigma and discrimination. We produce useful information that you can trust, and make sure it is there for anyone who needs it. We change lives with knowledge. We keep the world informed about HIV and AIDS. We support individuals affected by HIV to understand their health and their options. We share best practice and the latest evidence base globally. We respond to the changing epidemic.